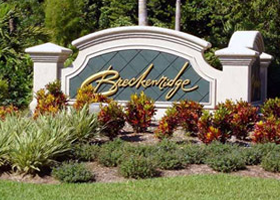 Breckenridge Golf & Tennis Club is located in Estero, Florida. A private community where gracious gulf coast living awaits you. Whether you are a winter visitor or a year-round resident, you will love to call Breckenridge home. with Cardio Equipment, Free Weights and Resistance Machines. Five Heated Pools, Bocce Ball, Shuffle Board, Water Volleyball, numerous card games; including Poker, Mah Jong, Bridge- there’s something for everyone to enjoy! Our amenities allow you to experience resort-like escapism every day of the year! Whether you prefer the exhilarating rush of a game of tennis or a quiet evening on your lanai viewing beautifully lit fountains. Breckenridge provides the atmosphere you require to relax and enjoy yourself.